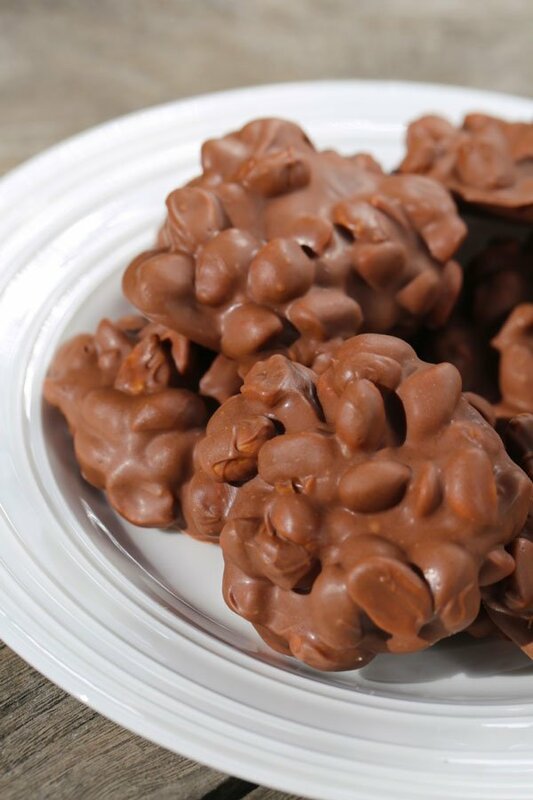 Easy chocolate peanut clusters 3 ingredient recipe that is super fun for families to make during the Holidays. 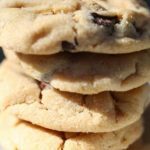 Just takes vanilla almond bark, chocolate chips, and lightly roasted peanuts to create this delicious treat. 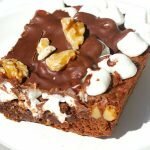 I usually go for almond bark, but I was craving chocolate peanut clusters the other day, and just had to make them as soon as possible. 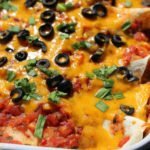 You guys, this recipe is so easy, its ridiculous. 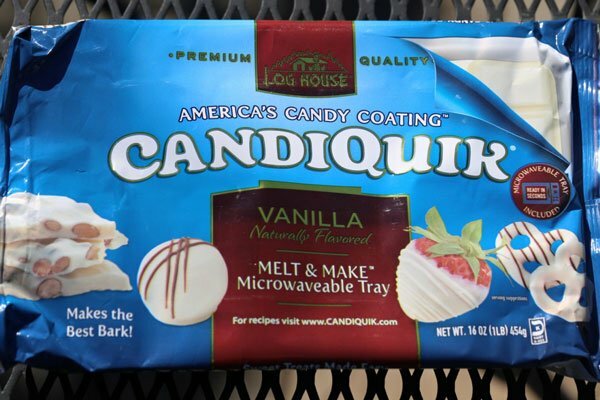 For the vanilla almond bark, I used a block of candiquik, an ingredient I learned about recently when making my Tiger Butter Bark. 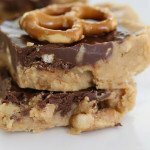 It makes whipping up candy super quick, and its so yummy. Below is a photo of Candiquik if you’re new to it too. 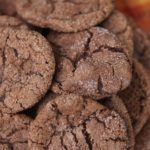 Switch the nuts up in this chocolate clusters recipe, and create almond clusters or macadamia clusters. 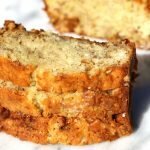 Yum and Yum. 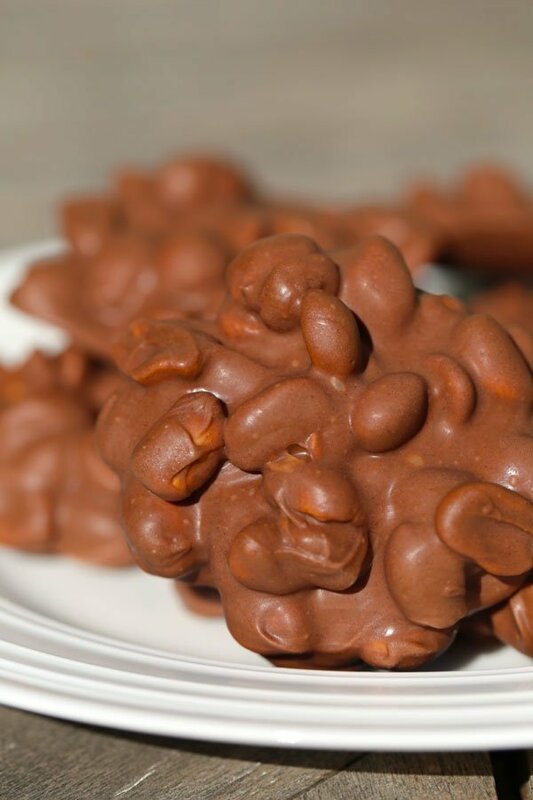 These microwave peanut clusters are fabulous and you can whip them up in a few minutes. 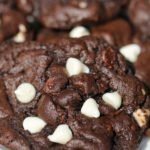 Place them in a gift bag with a bow, and you have a wonderful hostess gift for holiday parties. 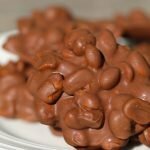 Easy chocolate peanut clusters 3 ingredient recipe that is super fun for families to make during the Holidays or anytime! 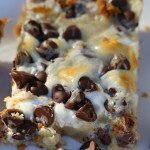 Just takes vanilla almond bark, chocolate chips, and lightly roasted peanuts to create this delicious treat. Pour peanuts into bowl with melted chocolate and bark and stir. 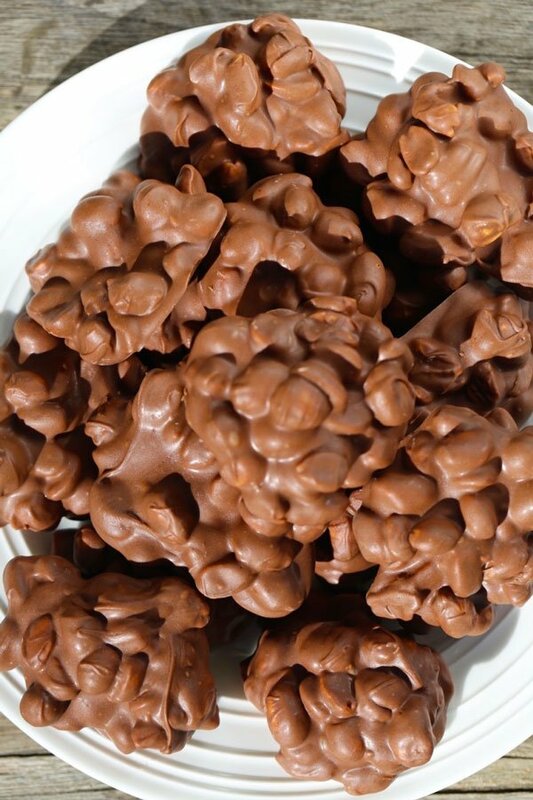 Scoop about 1 1/2 tablespoon size scoops of clusters and place on prepared baking sheet. Place baking sheet in freezer until candies are firm. This only took about 20 minutes for us. Enjoy!